Profractional Laser retexturizes and remodels photoaged or sundamaged skin, revitalizes skin that had been marked from acne scars in earlier decades, and rejuvenates skin that has lost its glow. It works by replacing old tissue with new. Results are dramatic. The laser tightens skin, reduces acne scars, pores and wrinkles. Profractional laser is a true ablative laser, operating on the principle of thermocoagulation: microperforations are made by the laser which destroy skin tissue and spur the natural regeneration of tighter firmer tissue over weeks to months. As the skin regenerates, wrinkles are smoothed, and old acne scars and pock marks are filled in. 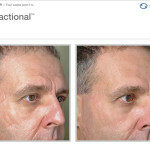 Who is a good candidate for Profractional Laser? Profractional Laser is meant for people who feel that their skin is aging prematurely or who are noticing more wrinkles in the mirror. It is also an excellent treatment for those with rolling, ice pick, or pock mark scars from acne of the cheeks, temples, or jawline. The Profractional laser is safe for all skin colors and tones. How long does a Profractional Laser treatment take? The treatment takes only about 15 minutes. Topical numbing done in the office, however, takes about 45 minutes before your appointment. 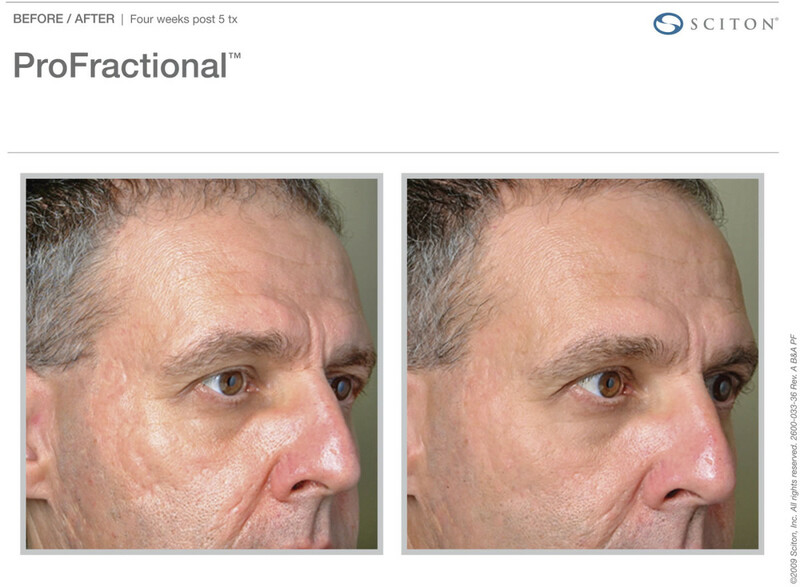 What does a Profractional Laser treatment feel like? Oral analgesics given at the time of topical numbing in the office blunt the discomfort well. Most people describe a feeling of hot rapid pin pricks into the skin. When the treatment is complete, the skin will feel very warm, looking and feeling like a deep sunburn; there may even be pinpoint bleeding, which is normal and healthy. It depends on the depth of the treatment, which you and your dermatologist will discuss. Generally the recovery for a full treatment is approximately 4-5 days. However if you need a faster recovery, talk to your doctor about the Tribeca Skin Center Hybrid treatment. We call it our “weekend” treatment, and it’s perfect for people who have done a few chemical peels or Clear + Brilliant treatments, and want to step-it-up a bit. Another alternative is a series of Microneedling treatments, which would have significantly less downtime. Some people say their skin looks tighter and fresher within a week. By the end of the first month, most people will notice the effect of new collagen synthesis: smoothing of wrinkles. 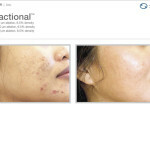 It can take up to 3 months to appreciate resolution of pitted acne scarring. 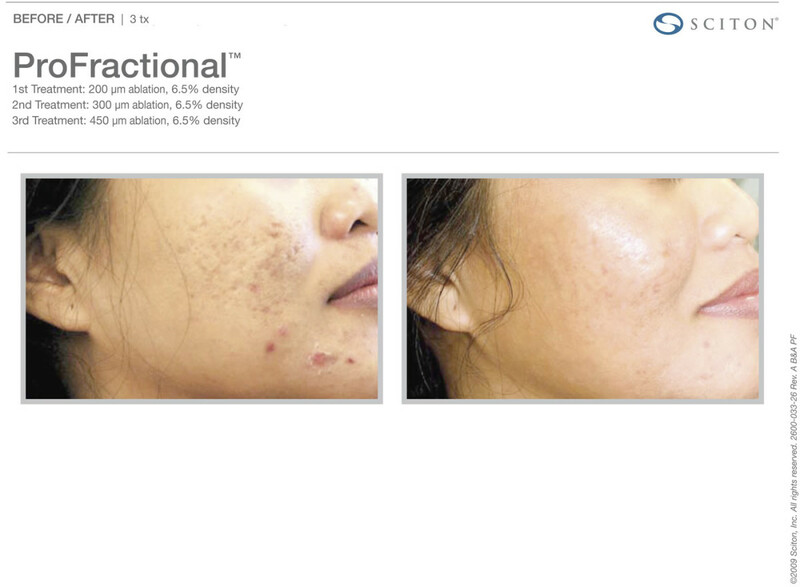 Profractional achieves a permanent remodeling of the skin, and should be repeated as needed to further results. What do I need to know before my first Profractional Laser treatment? Besides the downtime associated with the depth of the treatment you and your doctor have done, you should finish any Accutane course at least 6 months prior to a treatment. You should schedule the treatment so that there is one month of no sun exposure for the following month (even with sunscreen). If you are prone to cold sores or cystic acne, we prescribe you prophylaxis treatment for the days before and after the treatment.